Even though mankind has been using wood for construction consistently for thousands of years, it is also what many experts have been calling the building material of the future. When building any project, choosing to use wood is environmentally, economically, structurally and stylistically the best choice. It is important to the future of our planet to reduce the amount of CO2 into the atmosphere. Trees and wood products have the unique ability to store carbon, so choosing wood to build a home doesn’t only produce less CO2 throughout the manufacturing process, it also eliminates atmospheric CO2 by absorbing and storing it. 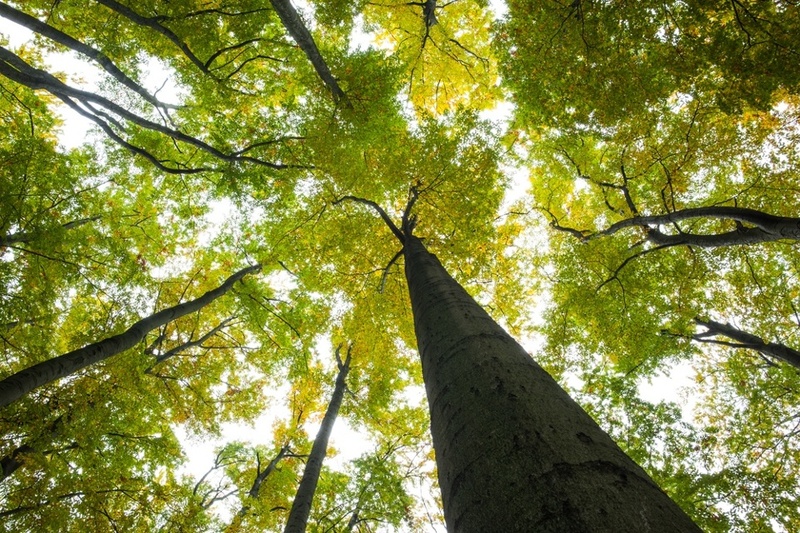 This carbon absorbing process occurs as a tree grows, so when responsibly sourced wood is chosen for a build and trees are cut down to use as material, new trees are planted which then grow and absorb even more carbon, continuing the cycle. The production process of timber products produces a significantly lower carbon footprint when compared to using concrete, brick or steel. For example, if you convert one cubic meter of concrete used in your home compared to a cubic meter of timber, you will eliminate approximately one tonne (1000kg) of carbon dioxide from being produced into the atmosphere. Wood is a natural insulator due to the air pockets within its cellular structure. When compared against other common building materials, it insulates 15 times better than concrete or brick, and 400 times better than steel. Another factor to consider is that a PacificSmartWall® insulates even better than a traditional wooden wall. Choosing to use a PacificSmartWall® can increase the energy efficiency of your home’s walls by as much as 128%. This thermal insulation translates to significant savings on the cost of cooling and heating your home. As well as being energy efficient, wood and foam used within the walls are also excellent noise absorbers, making wooden houses much more private and peaceful. Because of wood’s structural flexibility, it is much less likely to collapse under the stress of an earthquake. Homes made of brick or concrete are denser and can be easily cracked by the tremor waves while wood can flex and absorb the ground tremors. In addition, we at Pacific Homes recently sent our PacificSmartWall® to the University of British Columbia (with support from FPInnovations) to be compared to traditional wooden walls under the stress of an earthquake. The results showed that the PacificSmartWall® performed significantly better under seismic activity when compared to conventional walls. You can find the results of this study here. 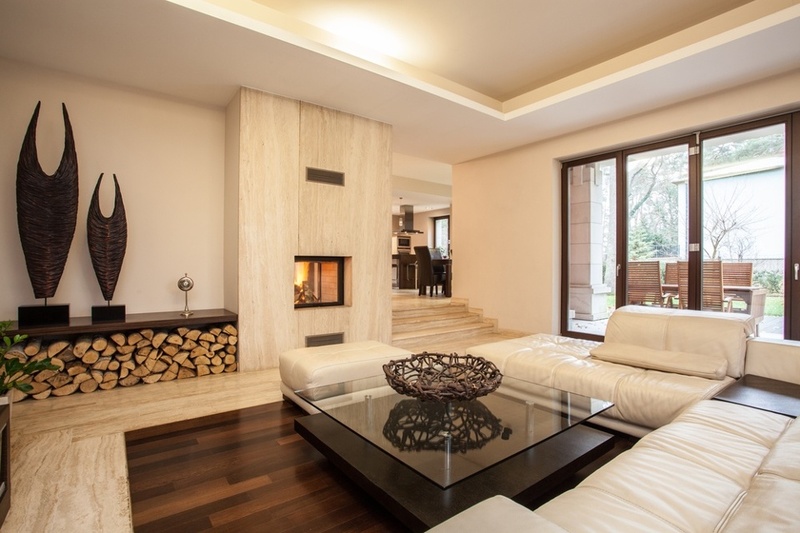 Wood is structurally very strong for building any type of project and especially due to modern wood preservatives, it will last for longer than has ever been possible before. In fact, a direct comparison shows that certain types of wood, such as Radiata Pine structural timber, has a 20 percent higher strength-for-weight ratio than structural steel and is four to five times better than non-reinforced concrete in compression. As an example of the architectural strength and versatility of wood, in 2016 the University of British Columbia completed the largest wooden skyscraper in the world. 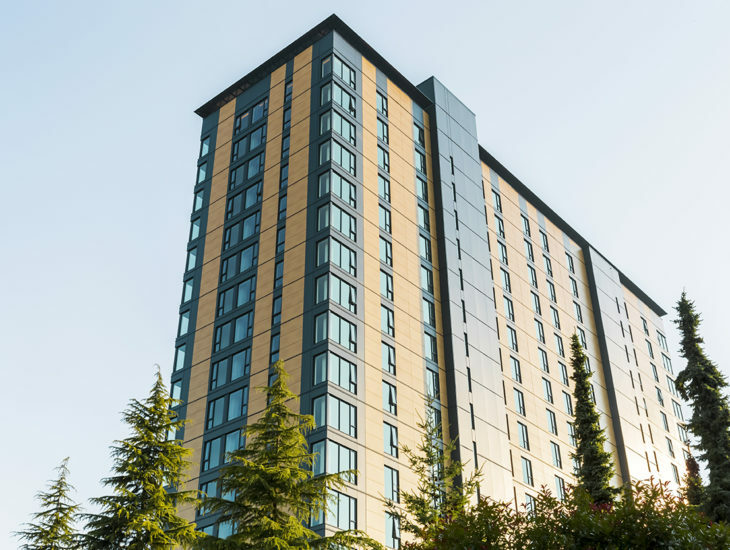 The 18-story student residence known as Brock Commons broke the record as the world’s tallest timber building and is a testament to what will be possible when building with wood in the future. Here is a time-lapse video of the wooden structure coming to completion. 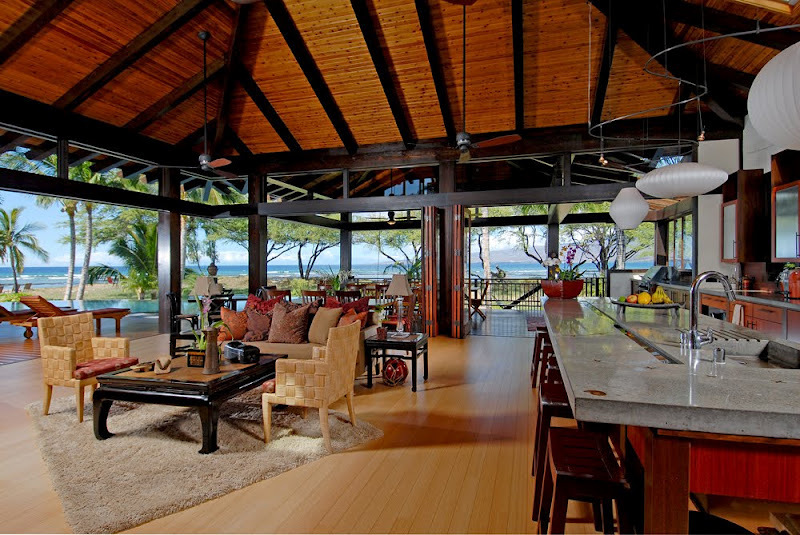 Wooden homes are an economically efficient alternative to other building materials as well. The most significant monetary saving that comes from building with wood is the time savings throughout construction. Its versatility allows for builds to be completed quickly, especially with the concept of pre-fabricated construction on the rise. Pre-fab homes, such as Pacific Homes with our PacificSmartWall® technology, save significant construction costs as they can be built in a fraction of the time. This speed also benefits a home’s structural integrity because it experiences less weather damage before the roof is completed. For example, the Brock Commons structure mentioned before was built in only 9 weeks thanks to its prefabricated components; the entire building was completed four months ahead of what would be expected if built through traditional methods. Building with wood can also save money if any mistakes occur throughout construction. 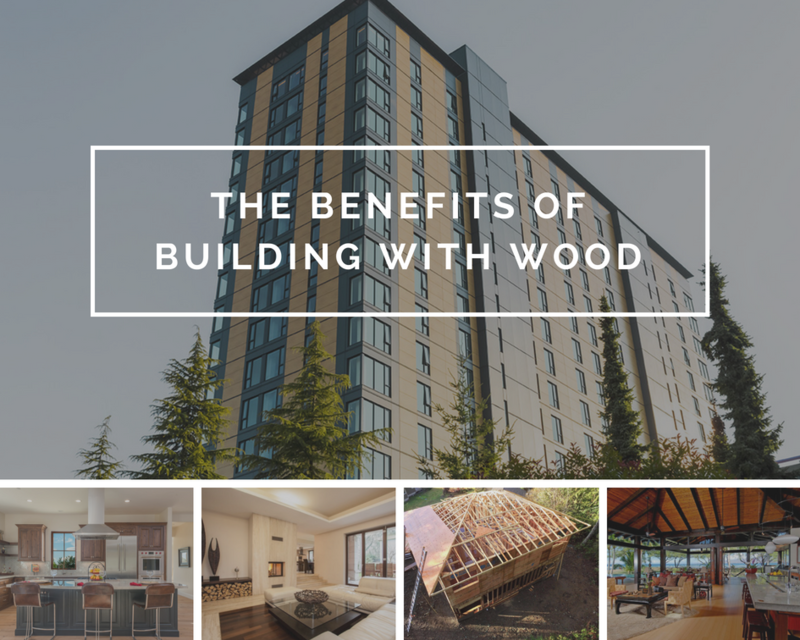 Wood can often be easily adjusted on site rather than a lengthy and costly fix that will be required if mistakes are made using other building materials. The final benefit of using wood compared to other building options that cannot be understated is its natural beauty. Planet Ark conducted research identifying the positive associations that wood induces in people and it found that an overwhelming 96% of people found wood to be ‘visually appealing’ and that wood ‘has a natural look and feel’. A clear majority also considers wood to be versatile, recyclable, renewable and long-lasting. Further research has also identified that increased use of wood in a room or building has measurable physiological and psychological health benefits. 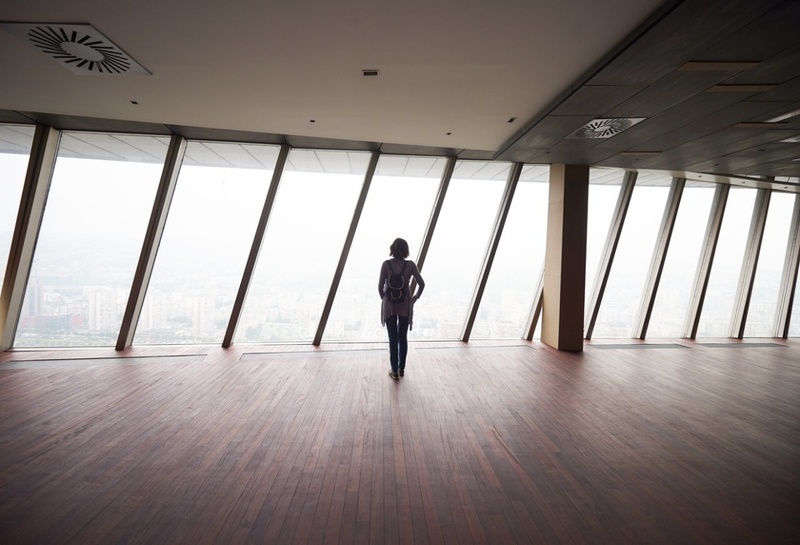 Workers are less stressed and more productive, students learn better, patients heal faster, and people are both happier and calmer in spaces that contain natural elements such as wood. The natural aesthetic wood provides to any room changes its look and feel dramatically. 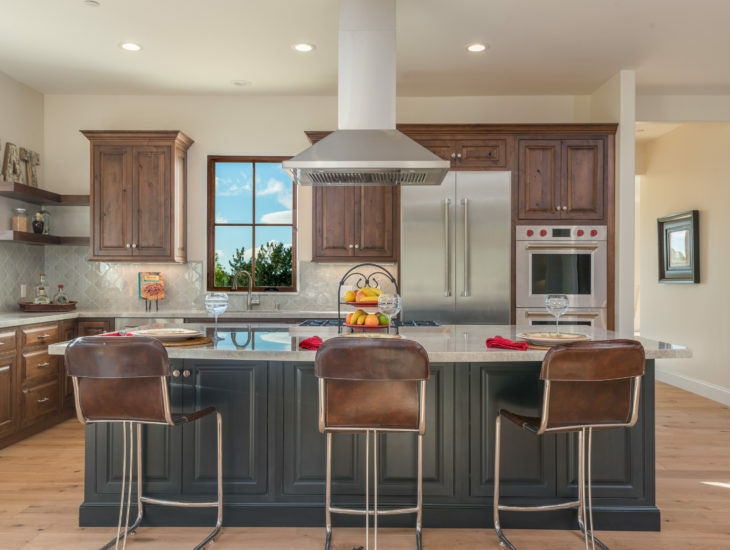 With all the advancements in the process of both its sourcing and construction, there has never been a better time to create your next project out of wood.